I have spent a fair amount of time studying languages and have encountered a good many weird attitudes and ideas. Some of them have turned up so frequently that they must be parts of general trends rather than ramblings of individuals (such as the notion of native speakers being perfect). Since some of these ideas are quite interesting and might affect your learning process negatively if you believe in them, I think it is a good idea to write about these prejudices and why they’re false. This time I will write about the fact that you won’t learn a language, especially not Chinese, simply by living in the country. 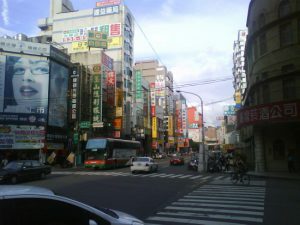 Even if it might be true that I spoke the language more or less fluently after having lived in Taiwan for two years, this is not simply because I lived there! It seems like the person making this statement believes that simply by living in Taiwan, I automatically learnt Chinese. I know lots and lots of foreigners who have lived in China or Taiwan a lot longer than that and still can’t speak more than basic Chinese. If you’re Swedish, like me, and you move to Germany, perhaps you will be able to learn the language just by existing in the country, because the learning threshold is so low, but this is not true for Chinese. 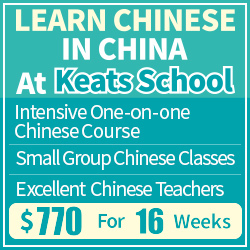 The threshold for people with English as their native tongue learning Chinese is considerably higher. I’ve heard people say something like the above quote a hundred times, Chinese-speaking people and foreigners alike. Although I suppose you can learn much quickly by being talented, that should be a very unusual exception and it isn’t that interesting for the rest of us. In my case, I didn’t learn Chinese quickly because I’m extremely talented, lived in Taiwan for two years and then somehow magically learnt the language. No, I have studied very hard, sometimes more than 80 hours a week, although that number includes social learning situations and not only what in traditionally called “studying”. I have worked very, very hard to learn Chinese and if you want to make the most out of your stay abroad, you should do so too. Likewise, it’s perfectly possible to become fluent in Chinese without ever leaving home. It’s not about where you live, it’s about how much you expose yourself to the language and how much you study. 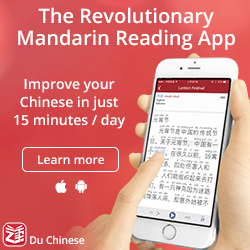 If you spend 40 hours a week teaching English, is it likely that you will learn Chinese as quickly as your friend, who’s only studying Chinese and only speak English once a week to relax? If you hang out with other foreigners every day, will you learn as much Chinese as your friend who socialises with locals? If you live with an English-speaking friend, how are you supposed to learn as quickly as your friend, who lives with native speakers (or at least people who can’t speak English very well)? If you speak English with your Chinese girl/boyfriend, how much are you missing compared to your friend whose partner doesn’t even speak English? 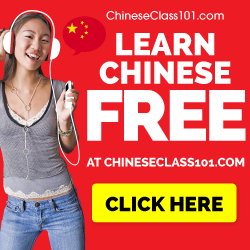 If you spend your spare time online watching films in English, chatting with your friends on Facebook or staying in touch with family over Skype, will you learn as much Chinese as if you didn’t? Technology (especially the internet) has downsides too! Many of these questions are related to aspects of life that are important to people. We don’t find a partner simply because he or she happens to speak Chinese well, and language learning is usually not the main factor when deciding whether to work or not. Still, all these are choices that you should be aware of and that will affect your learning. Regardless of the reasons why, however, the main argument still stands. You won’t learn Chinese if you don’t make a serious effort to do so. This involves all areas of life, so simply living in China will not teach you Chinese, however many years you live there. That’s a chicken and egg situation, you won’t really improve until you have a social life with locals. you won’t make friends unless you reach a basic level of communication. Perfect case : take classes for 1-2 years in your own country before you move abroad. You’re right in that this looks very much like a chicken and egg situation, but I don’t think it needs to be. Why? Because you don’t have to choose one and then do the other. There is nothing that says that you can’t improve while having native friends at the same time. 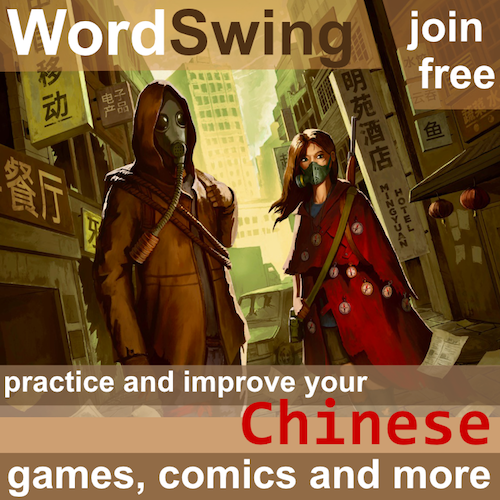 Naturally, you will be limited in your ability to communicate in Chinese, but using as much Chinese is possible is still a great way to improve. I think waiting until reaching a decent level before engaging with locals is a serious but all too common mistake. If the time abroad is limited, I totally agree with what you say. In fact, I’ve written about it here. Going abroad for just one year and choosing the first is a waste of precious opportunities, because, just as you say, a decent level is needed to maximise socialisation with locals. However, if you can choose to stay abroad any time you like, I think going abroad immediately makes a lot of things easier. The key is to interact with local Chinese people in Chinese as much as possible. The best language partners are those who don’t speak any English and therefore force you to use all the Chinese you know. If you think finding Chinese friends is hard, then just start talking with the shop owners while shopping. They are usually very interested in where you come from and who you are, and like chatting when they realize you can speak Chinese. The best solution? Try getting a Chinese boyfriend/girlfriend who doesn’t speak English and move in with him/her and maintain your relationship. I guarantee that even your other half isn’t your teacher, you will learn a lot because simply you don’t have any other choise. It worked for me! I agree that putting yourself in a “must communicate” situation is ideally the fastest way to learn but many aren’t willing to completely change their current location and lifestyle. to find partners to practice with. Still, I think you can learn Chinese quite well from home and in a pace which is suited to your situation. I think most of what I say on this website is relevant even if you study 10% rather than 100% of your available time. Of course, progress will be slower, but it’s still progress! I should say that I still use Skype and MSN quite a lot to practice. I teach English at primary school level and I have to say that it has helped me to grasp a lot of basic Chinese. It only takes looking at your presentation and actually giving it to your students four or five times a week for you it to sink in, at least on some level. I found it incredibly challenging to learn any Chinese in the early days of living here; my first lesson was on numbers and I think back and laugh at all the trouble I had just learning 1-10. Because of this initial roadblock I swore off learning for about four or five months. Even still, I soaked up a lot without any effort and now I’m learning with a more dedicated attitude, I feel that it helped to just let your brain adjust to the characters, to hearing the different tones. I would honestly say that if you haven’t had lessons before you move to a country that doesn’t speak your native language, just give yourself a month or so before you start. It might sound counter-intuitive, but I found it really helped to let the basics sink in of their own accord before actively increasing my knowledge. How do you feel about that? If you start studying and feel that it’s too much, by all means, take it easy, but I see no reason to recommend such an approach in general. Of course, arriving in a new country and starting to learn the language is very demanding and will give several kinds of different shocks (cultural, linguistic, social), and if you feel it’s too much, then slowing down might be good. In general, though, I think it’s better to learn in as many ways as possible immediately, i.e. letting things sink in while making an effort to learn. I agree with what you’ve said. I feel almost ashamed of how little Mandarin I learned during my year in China. I could and should have done much better. I get tired of hearing that same sentence myself. Depending on your goals for learning it requires a great deal of effort over a long period of time to achieve a reasonably functional level in the language. I’m sure most have heard of the 10,000 hour of deliberate practice rule, but what many people don’t realise is that the key point is not time but deliberate practice. It’s not how much time so much as how you spend your time. Unfortunately, if you asked a Chinese teacher in Taiwan the simple question, How do I study Chinese?, more often than not the reply would not be as satisfactory as if you asked your violin teacher, how do I study the violin? When I started studying Chinese I asked this very question, particularly because I was struggling with learning to write characters, she had no advice other than to write more, even though I was writing characters for over 2 hours every single day. You blog has more useful suggestions than I’ve ever gained through classroom study. I highly recommend, for those going abroad as standard English teachers with the goal of learning Chinese, to consider teaching as young of an age as possible. I taught in a kindergarten for 2 years (definitely wasn’t my first choice) and, while I am happy to now have a very different job, it was amazing for my Chinese and I experienced much more immersion because I was my students first English teacher, so much more of the classroom was in Chinese than comparable English classrooms teaching older students. I think this is good advice in general, but I’ve also heard of schools with strict no-Chinese rules for foreign teachers. IF they are enforced or not probably depends on the availability of English teachers in that area, though!